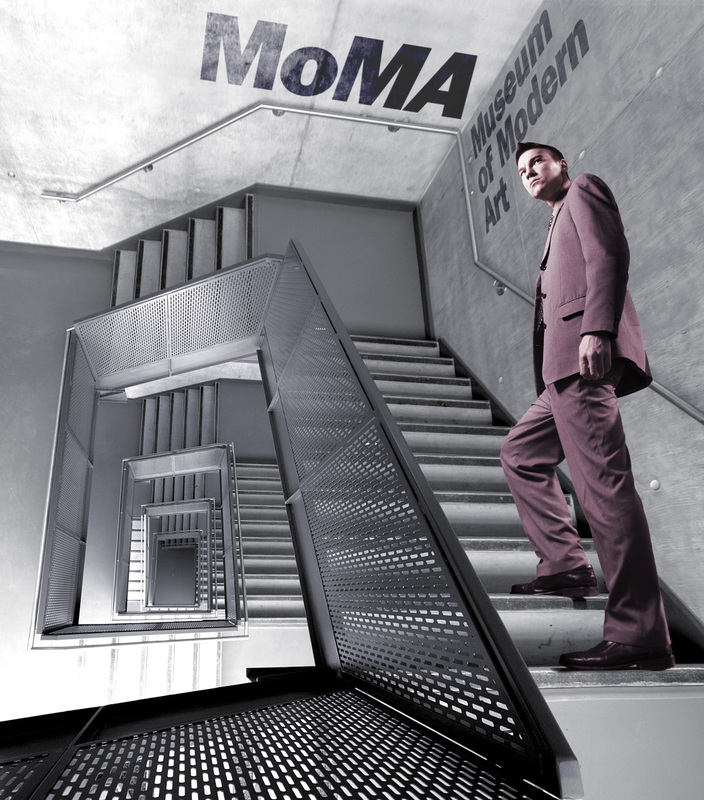 Embracing my New York roots, I designed this photo-illustration for the design curator of the Museum of Modern Art. Since I am a native New Yorker and loved going to the MoMa as a kid—embracing its culture and loving its internal garden—I recently wrote Paola Antonelli, design curator of the Museum of Modern Art. My "letter" consisted of a photographic and typographic collage: a series of 5 letters that had the following image as it is shown with a sequence (like an old time flip book) with the man and the lettering disappearing leaving the last image to be just the spiraling staircase.